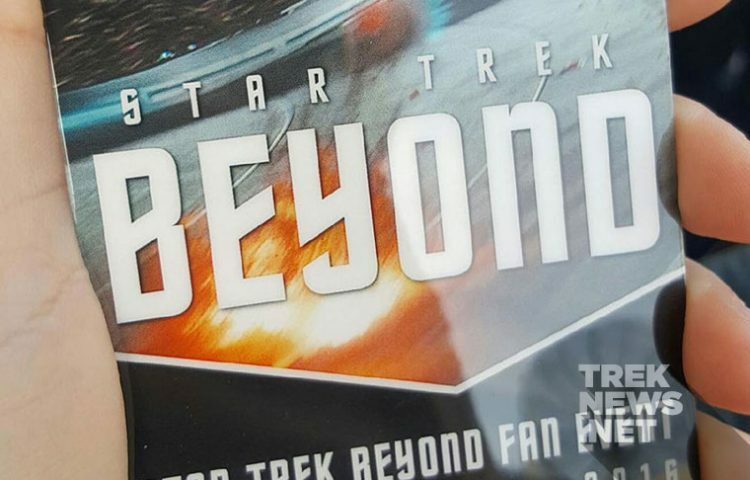 Welcome to TrekNews.net live event coverage for tonight’s Star Trek Beyond event at Paramount Studios in Hollywood! Follow along right here, starting at approximately 9:30pm ET/6:30 pm PT. Updates will be posted below along with our live Twitter stream. Are you ready to #GoBeyond? Directed by Justin Lin, written by Simon Pegg, Doug Jung, Roberto Orci, John D. Payne and Patrick McCay, Star Trek Beyond stars Chris Pine, Zachary Quinto, Simon Pegg, Karl Urban, Zoe Saldana, John Cho, Anton Yelchin, Idris Elba and Sofia Boutella. The film is scheduled to hit theaters on July 22.